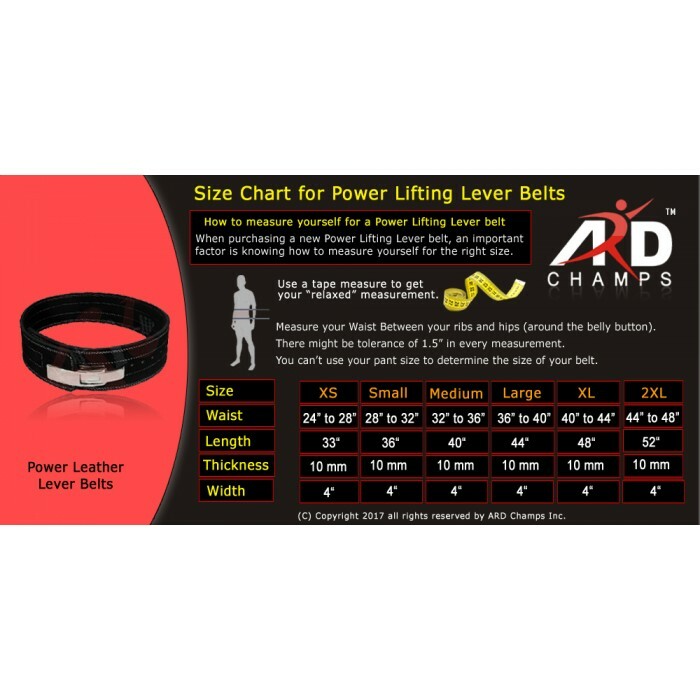 ARD CHAMPS™ Top of the line 4” wide, 10 mm thick professional Power lifting advance lever closure, belt, Can be loosened in less than a second with a quick flick of the Advance Lever. 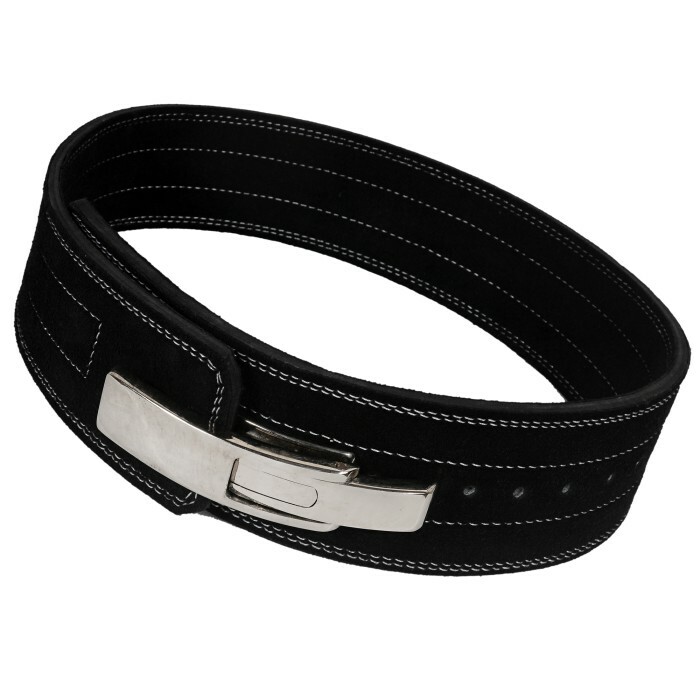 Conforms to your body shape over time and forever stays firmly supportive. 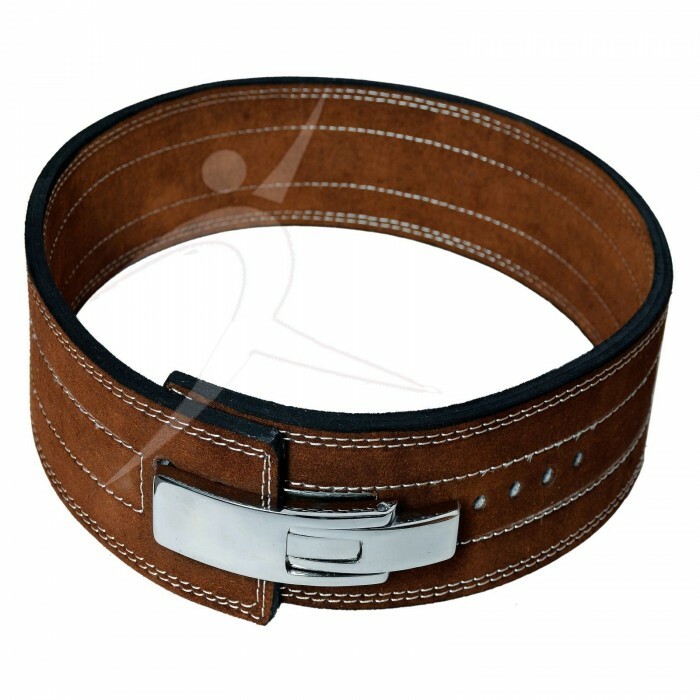 Most popular belts made with unique oil tanned Nubuck leather to give the luxurious, golden finish. This fixes the oil in the leather, making it durable. The oil forms soaps on the fibers to produce highly absorbent leather that will shine as it dries. It’s a new concept in genuine leather that is created by a unique additional tanning process. 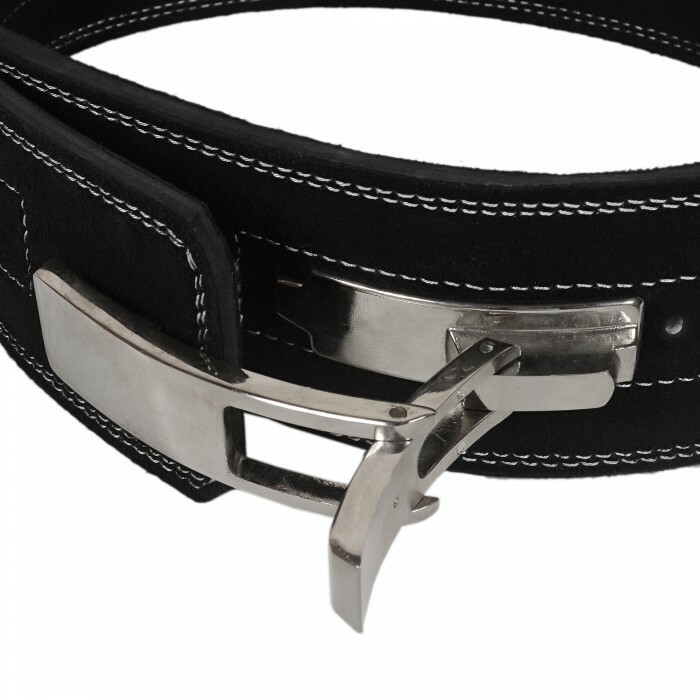 Advance lever action buckle closure ensures you can easily get it to the same tightness each lift. 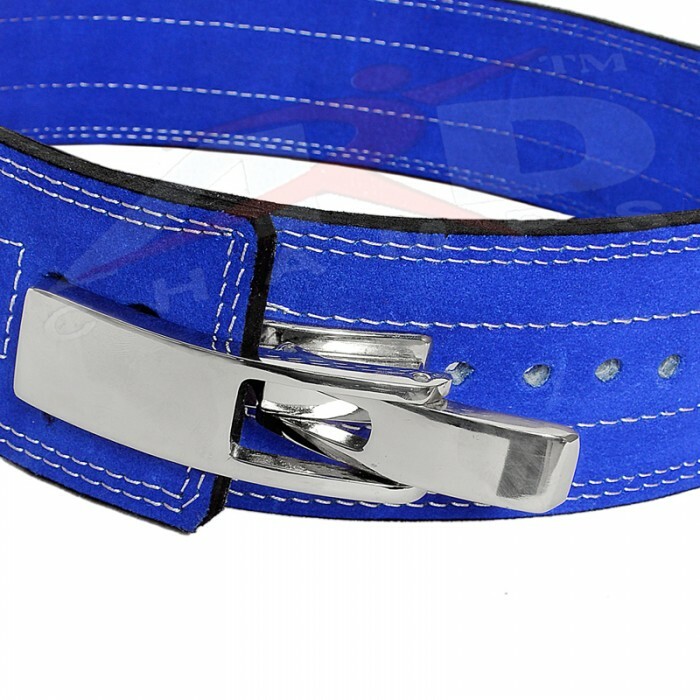 Does not turn overly soft and fold over as another brand’s belt tends to do. 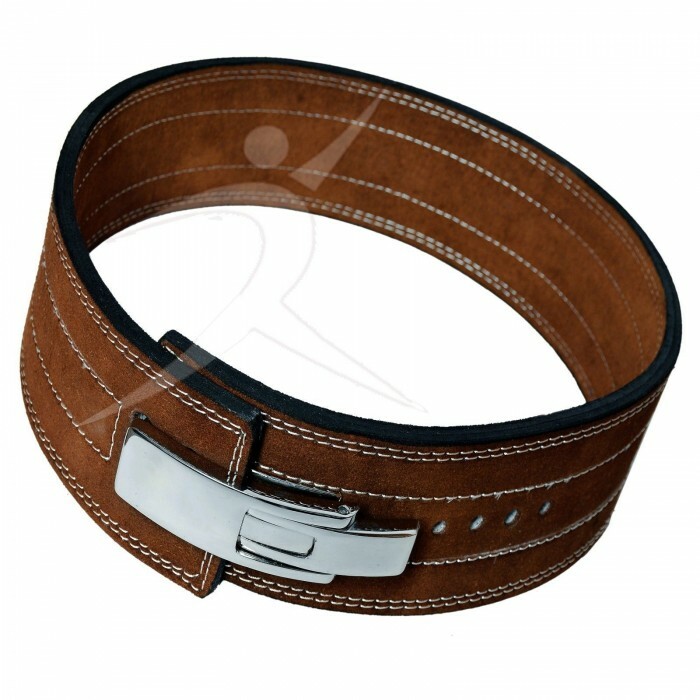 The edges of the belt are finished with refinement, but not rounded. Rounding of the edges lessens the effective width. It is not layers glued together cheaply to make thickness as some other brands that can come loose years later. 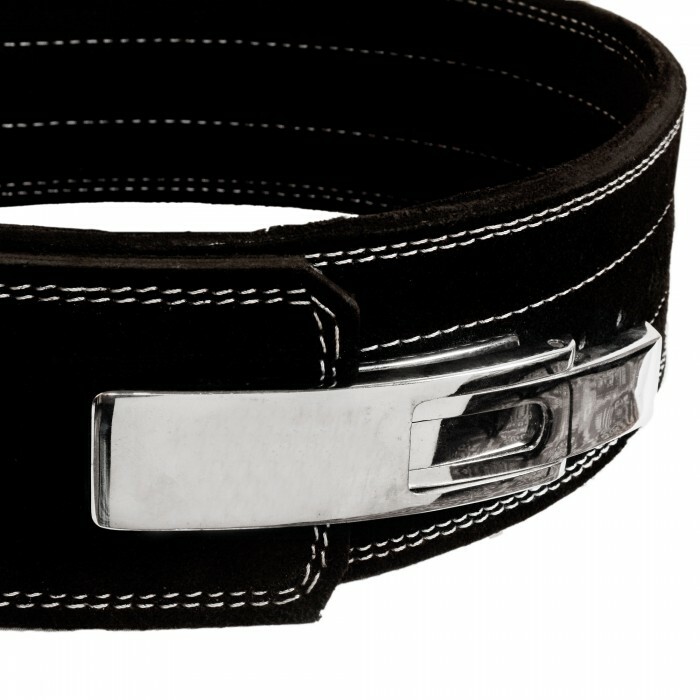 There are no compromises in quality of the ARD CHAMPS™ Belt. Made with unique oil tanned highly absorbent Nubuck leather. 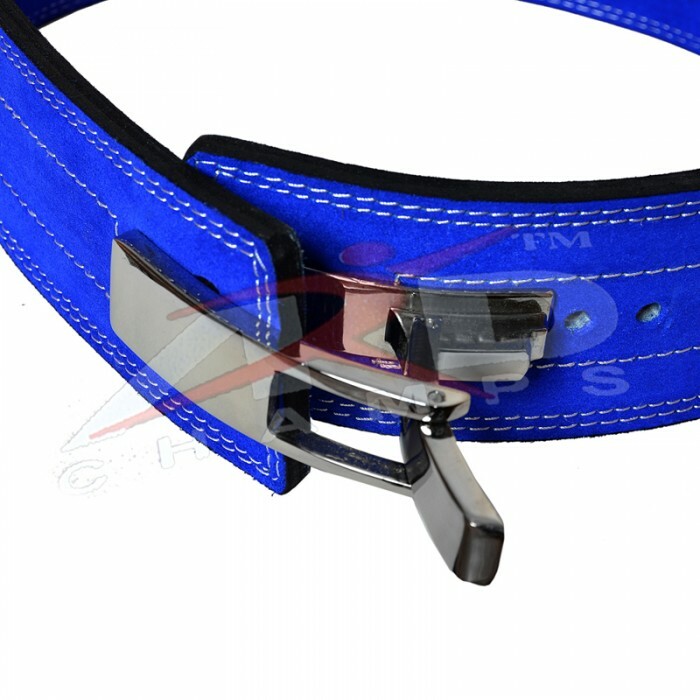 Advance lever closure, belt can be loosened in less than a second. Use at home or in the gym. Double stitched. Brown Color. Buyers are requested to read Company Terms & Conditions before buying product to avoid any miscommunication. When you are purchasing a product, it means you are also agreeing to Terms & Conditions of the company. We contact our buyer if any, information requires, via email, within 24 hours after cart checkout. Successful Buyers must complete the sale transaction within 7 working days from the date of receipt email notification or invoice. On Completion of the sale transaction, buyer shall get one confirmation email from us, which should be kept for any further communication. Item descriptions are provided in best of our knowledge. A sale which is once done is taken as final. Refunds are subject for consideration if the product is not at fault. We value our customer satisfaction, so we ship our products within 1 to 2 days after the payment has been done- however we ask customer to allow us to ship products within 7 days in some exceptions. Most of the consignments are delivered within 2 to 5 working days. In some cases delivery may take 10 days. In case undelivered items we request our valuable customer to contact us before leaving any negative or neutral feedback as positive feedback is very important for us. 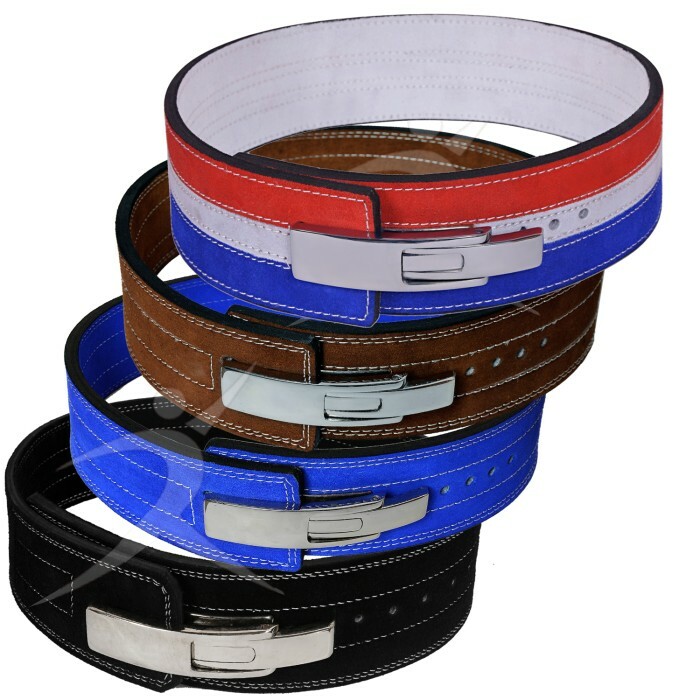 We also offer combined shipping, for combining shipping inquiry, we request our valued customer to contact us through the eBay message service. 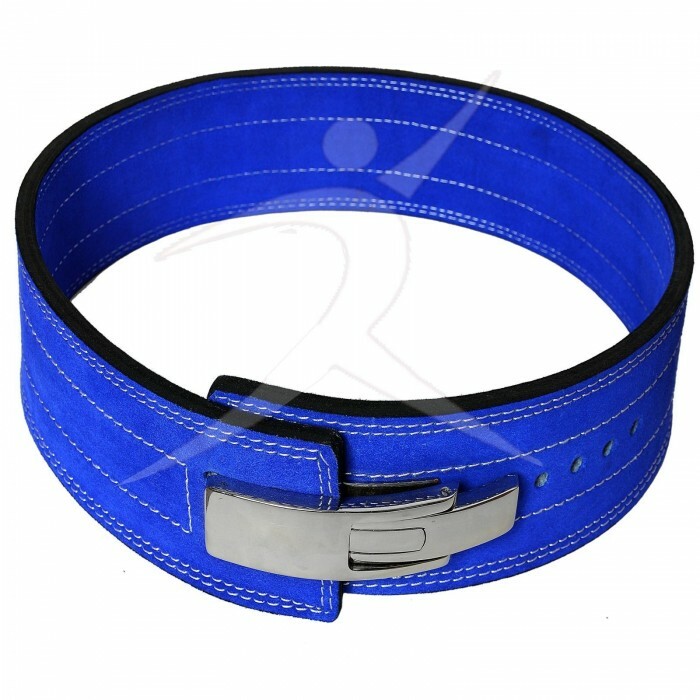 We request our customer to contact us within 14 days to return products in case of damage or faulty product. As we are always happy to solve the problems to avoid the complications. 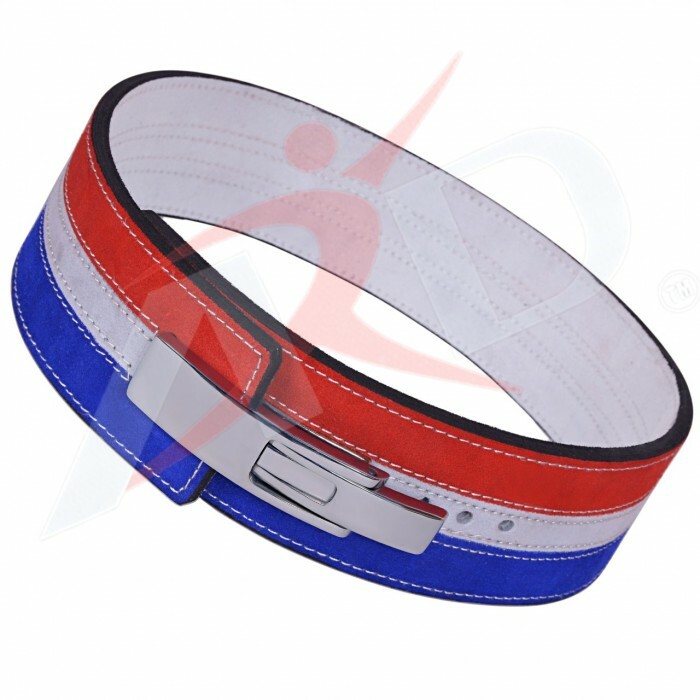 ARD CHAMPS™ is a company which owns and operates composite facilities for manufacturing and exporting of various Martial Arts/Sporting Wears commodities particularly Martial Arts Uniforms & Supplies. 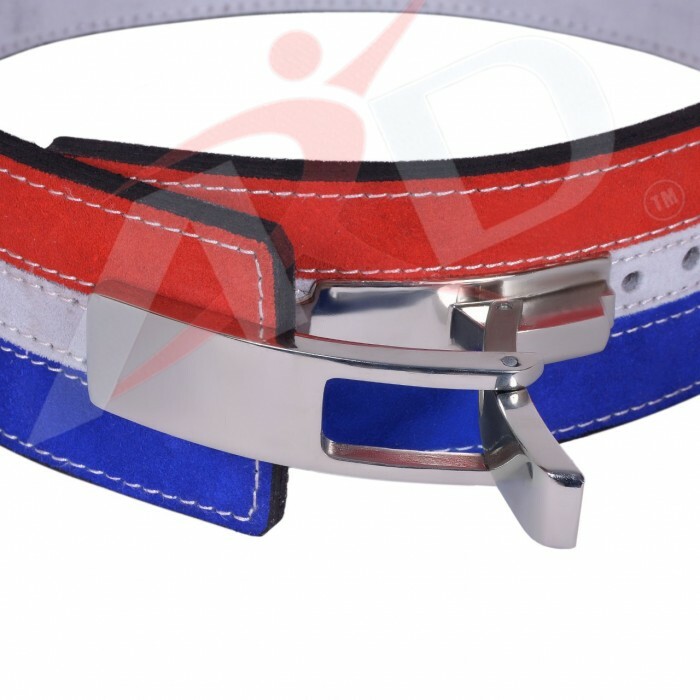 The company fully realizes the importance of maintaining the quality of its products and for the same reason it is maintaining a quality control system. Due to these commitments ARD CHAMPS, has established a prestigious position in the international market. For any inquiries regarding purchase or products, please feel free to contact us through eBay message service and we will respond to you as soon as possible. All of our products listed within the eBay store of ARD. To search any particular product search with the name of product starting with ARD. FREE USA GROUND SHIPPING ON ALL ORDERS. FREE CA/MX GROUND SHIPPING ON ALL ORDERS. © 2019 ARD CHAMPS. ALL RIGHTS RESERVED. © 2018 Defy Sports. All Rights Reserved.